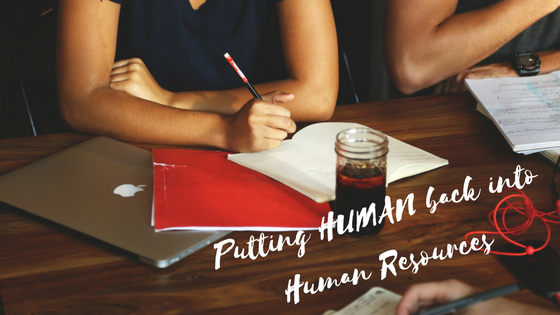 Has the Human Resource department become just a company’s liability policy? Is having the Human Resources department run by lawyers, protecting every word that goes in and out the way to creating a healthy work environment? Do companies really need more policies and binders filled with step-by-step procedures? All of that is important to the financial wellbeing of a company, but it is not what should make up Human Resources. Where in any of that is the HUMAN component? Toxicity in the workplace can spread like wildfire and unless the leaders of the company make their employees (human beings) a priority, the fire will just continue to spread. What if instead of more policies and procedures, we understood that Jane is not just employee number 592, but a women who has goals, desires, struggles, wants and needs – family, friends and hobbies that she would like to make time for. What if John is able to have work-life balance, without putting his marriage at risk, feeling stressed out, worked out, and burnt out. What if John and Jane’s company could see how giving them the tools, support and guidance to make their life excellent, they will also be making the company excellent. Putting the HUMAN back is easy, simply do the opposite of all the toxins above, make health and wellness in the workplace a priority (manage that stress), and, be a leader, even if you don’t think you are in a leadership role. We are all leaders – in and out of the workplace. Be willing to do what others won’t. Don’t gossip, bully or act like it is all about you and only you. Don’t just manage, but lead. Communicate, give positive reinforcement (great job today! ), learn how to give constructive criticism when it is needed to help someone succeed, and teach your team in a way that makes them look good, not just you. Invest in developing relationships with your team. Communicate (get to know them on a personal level). Be better tomorrow than you are today. If you mess up, don’t worry about it, we are only HUMAN after all. Push the reset button and be better next time.